This entry was posted in spinning and tagged fiber arts, fiber arts friday, hand-dyed, handspun, Tour de Fleece, yarn. Bookmark the permalink. I love to look at yarn but don’t know what to do with it. Your yarn is gorgeous. I won’t be watching the Tour de France. This is really amazing Hannah! 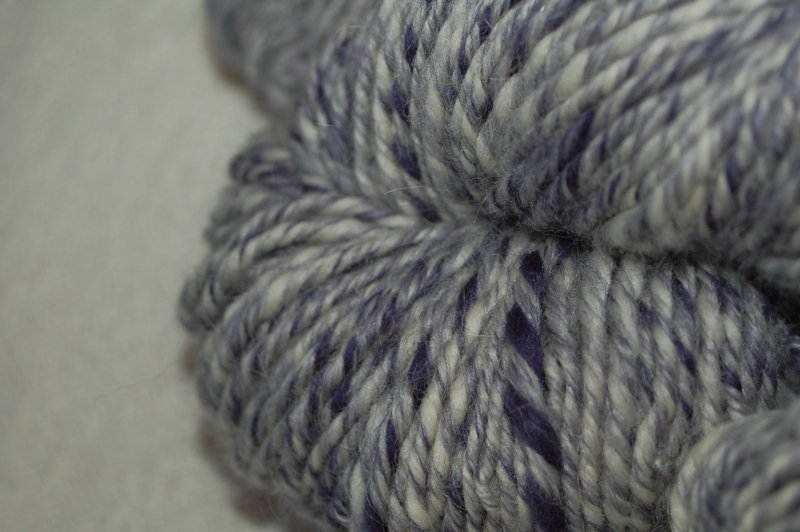 Do you prefer knitting with your own handspun? This is something I really don’t know very much about at all! Big crafty plans? Might cut into that baby fabric this weekend. 🙂 Actually what I NEED to do is get caught up with Project Life. Yes, I really do prefer to knit with my own handspun. Every time I knit with it, I wonder why I ever knit with anything else. Although the obvious answer is, I knit way more than I spin! Well you certainly got some “practice” time in, LOL. Looking forward to seeing what you do during the tour. I’ve tried spinning but haven’t caught the bug. I’m just happy someone else will do it for me LOL! 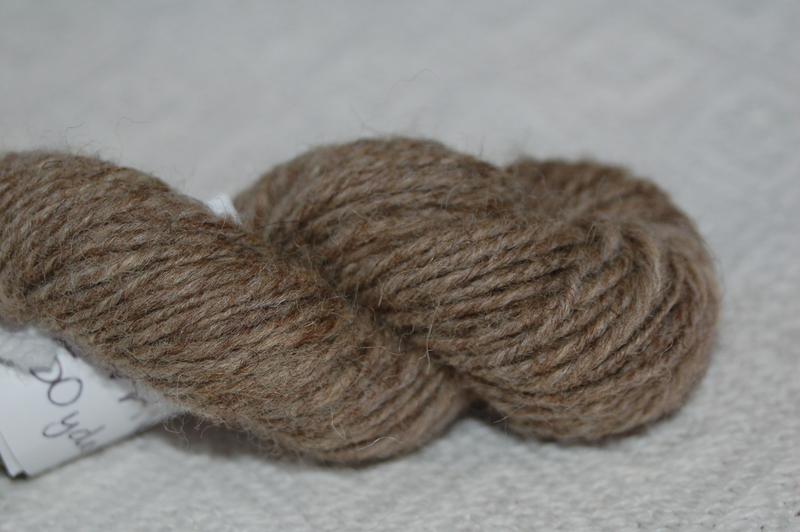 Love your handspun … especially that first batch. It’s screaming COWL to me! Good luck on the Tour de Fleece – and careful of those other competitors who take it all soooo seriously! The first batch is really all there’s enough to do something with, although the hand-dyed has enough that I could at least make stripes or something with it. Look at all the yarn you made! Great job…I have not been bitten by the spinning bug…so I’ll be cheering on the sidelines during TdF…Good Luck..
Good luck with the tour! I love corriedale … I’ve spun only a couple dozen different types of fiber, but corriedale is my favorite for easy spending and blending with more difficult fibers. 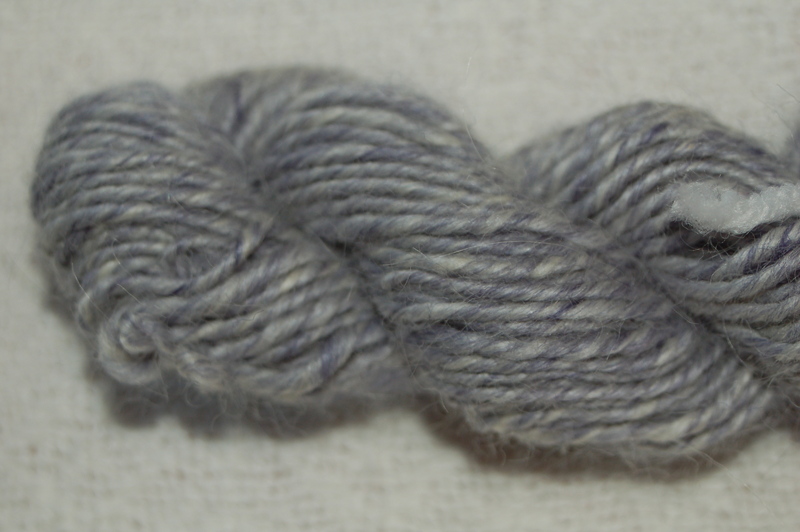 I really like spinning corriedale, too. 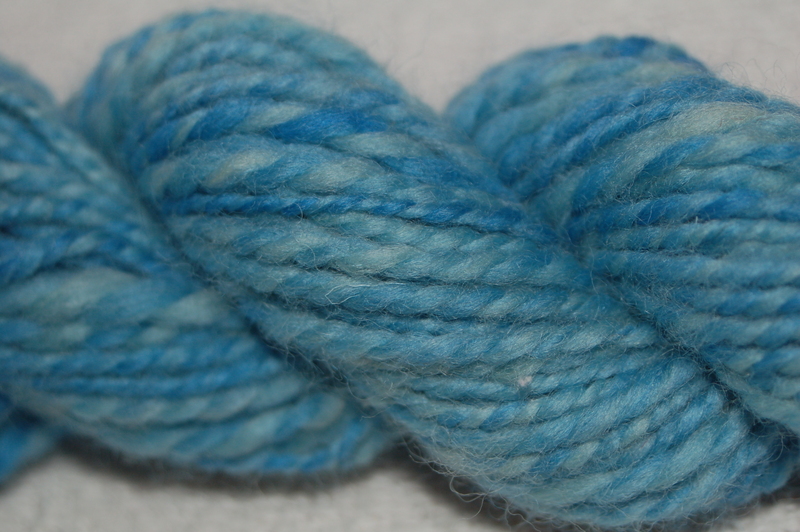 Your yarn is so pretty–I LOVE the turquoise color! Gorgeous yarn! This is my first year participating in the tour de fleece and I can’t wait! 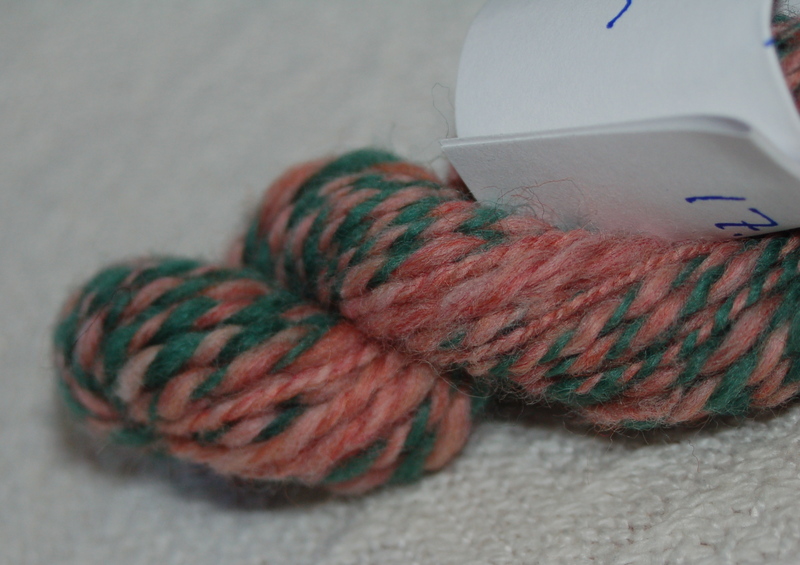 I’m still learning how to work a spindle, but I’m hoping to make some yarn. 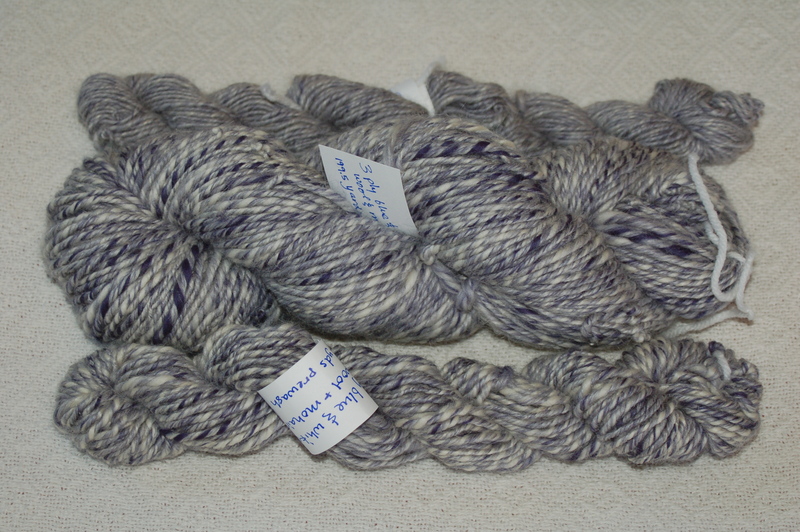 I really love the grey yarn you spun – gorgeous plying! You’ll definitely be making some yarn! In that past, it’s amazing how much improvement I’ve seen in my spinning in a month. What gorgeous yarn you spin! good luck with the tour de fleece! Gorgeous handspun! I’m looking forward to seeing what you spin for the Tour de Fleece! 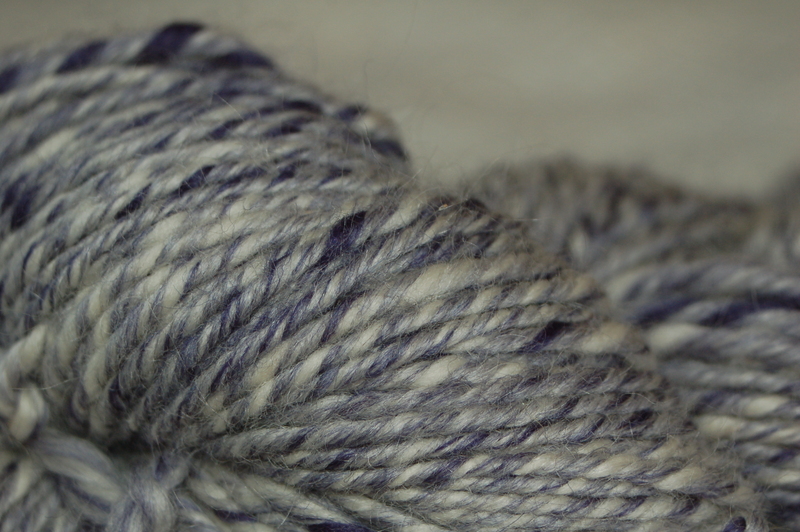 I love all of your yarns….soon you will have some wonderful fiber you can spin. It went in the mail today. I love that you do this! What a great idea! I can no longer watch the tour de france – after my biking accident two years ago it freaks me out to watch how closely they all bike (and fast!) together. Yeah, that’s hard for me too! I had no idea that you not only create all of those wonderful pieces but spin your own yarn. Amazing! Well, I do spin, but I more often knit with commercial yarn. But thanks!